There are many animals that demonstrate abilities that we could consider human-like. 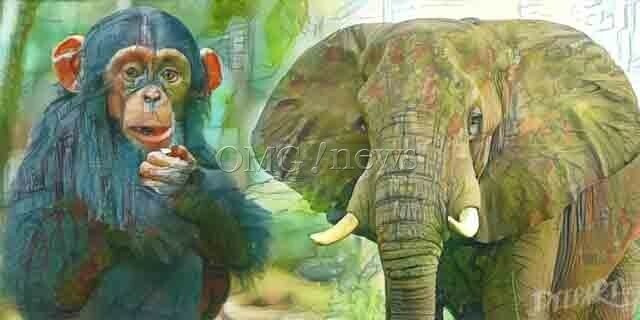 Furthermore, many animals demonstrate a level of intelligence that is similar to young human children. Humans deem themselves to be the most intelligent creature on Earth. However, our evolved brains have led to much destruction of the planet. Could the animal kingdom’s evolution prevent their intelligence growing to our level in order to protect the earth? That could theoretically be superior. It’s interesting to ponder. Pigs are cognitively complex animals. They have unique and quirky personalities and are extremely smart. Also, their long-term memories are good. Socially, they are clever too. They know how to manipulate other pigs, and are able to determine stranger pigs from pigs in their own group. In fact, some scientists have described pigs as being quite Machiavellian. Furthermore, researchers consider pigs to be as intelligent as dogs and chimps. 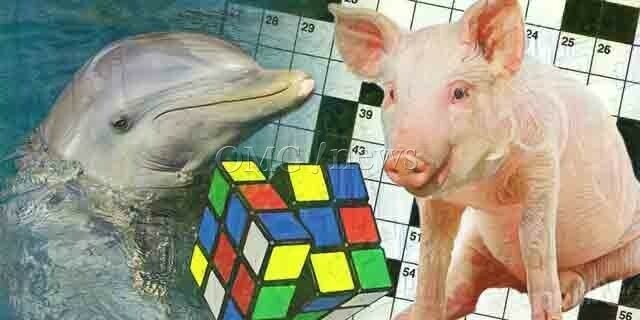 Pigs are capable of learning how to complete puzzles. In one demonstration, a pig was able to match colors. Scientists believe that the dolphin is second only in intelligence to humans. In fact, their brains are actually larger than ours. Analysis of dolphin brains shows that they are extremely sensitive to pain and stress. Dolphins have very complex communication skills. They use “signature whistles” similarly to names. When they wish to gain the attention of another dolphin, they will call its whistle. In the same vein, they will whistle their own signature to identify themselves to others. Also, they are capable if utilizing tools. Scientists have observed them putting sea sponges over their noses when they forage for food on the seabed. Dolphins can also learn simple symbols to communicate with humans. In pairs, they have demonstrated the ability to create co-choreographed actions. Chimpanzees, or Chimps, are close relatives of humans. So it is no surprise that they are so intelligent. Because we are both primates, many of their actions can appear vividly human-like. Researchers have studied them extensively over the years. Chimps use tools, play with objects and can even learn words. When members of their group pass away, they go through a mourning process. They are also sharp, quick and creative thinkers. A chimp called Hopkins figured out how to see more clearly down his throat when he realized he could see himself on a live television screen. He got for himself a torch and shined it down his throat for a better view. These majestic creatures are highly intelligent and extremely self-aware. They are able to recognize their own reflection in a mirror. The long memories of elephants are legendary. If they come across a source of food, they can find it again when it is in season the next year. They will travel great distances to retrieve it. Elephants are also extremely compassionate. When a younger elephant is giving birth, often a more mature elephant will act as the midwife. Groups of elephants will surround her to protect her during the birth. Furthermore, they have demonstrated compassion for other creatures in vulnerable situations. Orcas demonstrate many human-like qualities. Such qualities include complex emotions, language, and high intelligence. 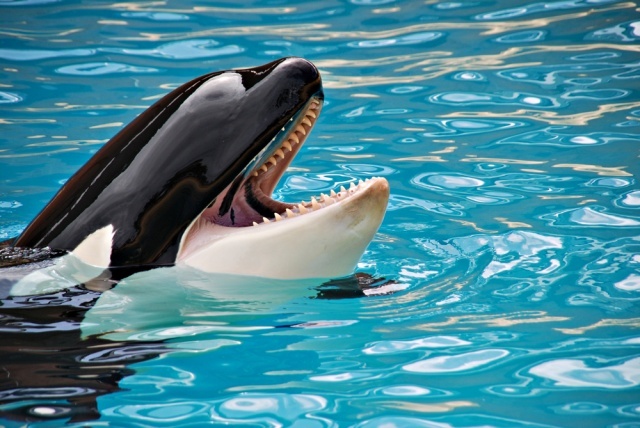 Despite the vicious name of “killer whale”, they have never killed a human in the wild. They also have massive brains, which are neurologically complex, like humans. Their brains contain high amounts of cortical folding. This indicates that they do vast amounts of cortical processing. Orca is also extremely social creatures. Keeping them in captivity damages them emotionally and mentally. The effects are the same as would occur with an innocent human kept imprisoned. For this reason, we should shut down theme parks such as Sea World. Making these highly intelligent and emotional creatures perform for our entertainment is cruel.